Rajasthan Chief Minister Ashok Gehlot on Thursday called the Rashtriya Swayamsevak Sangh (RSS) an extra-constitutional authority, accusing it of having a hold on the government. The chief minister said that the organisation should convert itself into a political party and merge with the Bharatiya Janata Party (BJP). He alleged that the present situation is such that no one becomes a chief minister or a minister without the consent of the RSS. Gehlot further added that the RSS is a cultural organisation and they have nothing to do with politics. He reiterated that when the organisation was banned, they had given in writing that they will not get involved in politics and would continue to be a cultural organisation. The chief minister said that the RSS should stick to their words. “RSS has its hold on govt as an extra-constitutional authority. No one becomes a CM or a Minister without asking RSS, that’s the present situation. It should convert into a political party & merge with the BJP. We don’t have a problem with that. RSS is a cultural organisation, they have got nothing to do with politics. When it was banned, they had given in writing that they will not get involved in politics and would continue to be a cultural organisation. 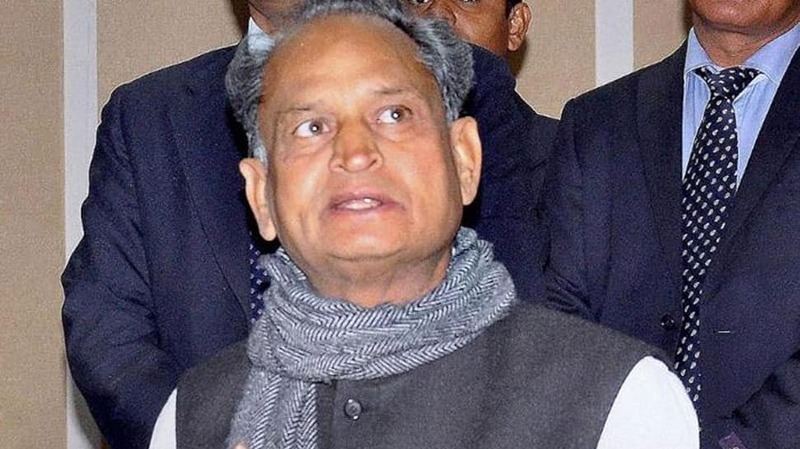 They should stick to their words,” said CM Gehlot. He further accused the BJP of politicising patriotism and patriots.